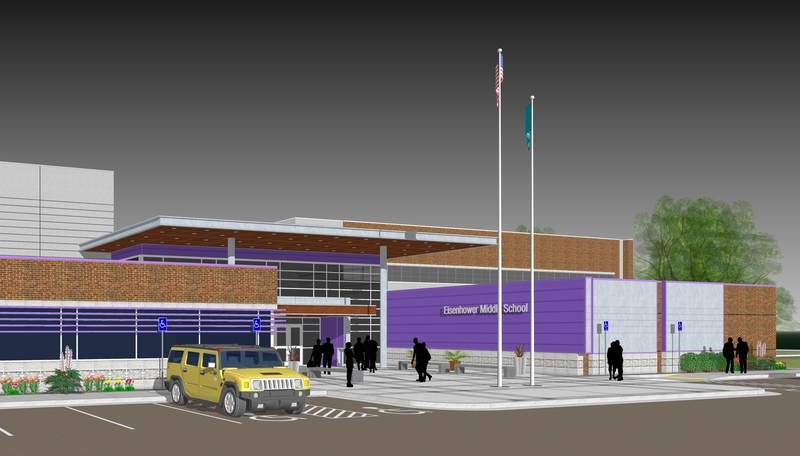 Lawton, OK – Lawton Public Schools (LPS) is set to break ground on the new Eisenhower Middle School (EMS) facility – located east of the current school building – at 2:45 p.m. on Tuesday, May 22. The ceremony is open to the public. The new construction comes at an approximate cost of $46 million and is funded by the $99.5 million dollar 2017 Lawton Can: Student Investment Program bond approved by Lawton voters in November 2017. The 155,609 sq. ft. building will house 1,000 students with access to a student commons area, 1,500-seat auditorium, 1,000-seat competition gymnasium and FEMA shelter spaces. The school is designed by Architects in Partnership (AIP) and Crossland Construction will oversee the project as the Construction Manager. The estimated date of completion for the construction is 2020.